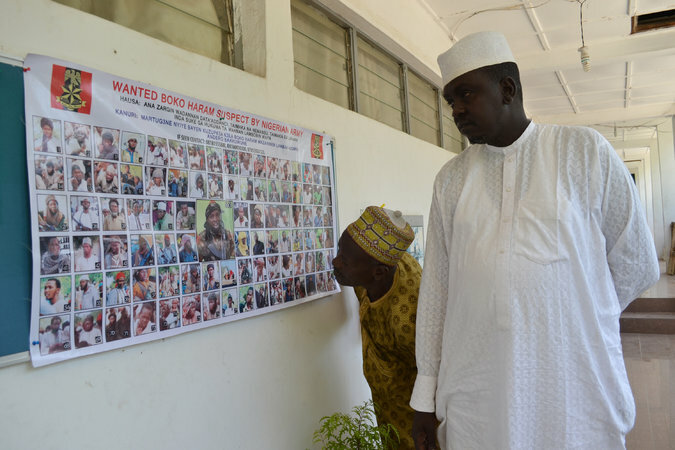 DAKAR, Senegal — Boko Haram has lost significant ground in northern Nigeria, according to some of the region’s top officials and international security experts, dealing a setback to a group that for years has menaced the nation with murder, abductions and other violence. But while officials say Boko Haram’s capacity to seize and hold entire towns is weakened, the group is still carrying out suicide bombings and other targeted attacks throughout the region, a staple of the militants’ strategy for years. Some Nigerian officials said the push from the military into what once had been Boko Haram’s strongholds in Nigeria had forced the group to scatter, leaving it to carry out attacks on markets and other public places rather than seizing large numbers of people and territory. “Now the fight is everywhere, so they are on the run,” said Hussaini Monguno, the security adviser to Kashim Shettima, the governor of Borno State in Nigeria. In recent weeks, Nigeria has committed to a renewed push to root out Boko Haram, a top mandate of the new president, Muhammadu Buhari, who has set a deadline of the end of the year to finish off the group. His country has been working with Chad, Niger and Cameroon — neighboring countries that continue to endure deadly attacks. Late last week, the Nigerian Army said it had cleared out several Boko Haram encampments, freeing 60 captives and seizing a hoard of bomb-making materials, among other accomplishments. While military brass has been known to exaggerate gains made against Boko Haram, some local officials were also upbeat about the recent military action. Mr. Gusau said the group’s strikes outside Nigeria were evidence of its desperation. Last week in Niger, five people were killed as Boko Haram attacked a village in the Bosso District. The episode follows a recent bombing just across the Nigerian border with Cameroon, where teenage female suicide bombers killed three people. Last Monday, Chad declared a state of emergency limiting travel in the Lake Chad region after a string of attacks and raids there, including one along a remote border area where three people were killed. Moussa Faki Mahamat, Chad’s minister for foreign affairs, said the recent violence proved that military efforts against Boko Haram had forced it to change tactics. Dimouya Souapabe, a government official from the Lake Chad region, said he could not be certain that the Nigerian military’s actions were the driving force behind the new attacks outside Nigeria. The attacks, he said, may be merely more of the same from an extremist group that pays little mind to national borders and has struck outside its home turf in the past. In Cameroon, Col. Didier Badjeck, a military spokesman, said that in his country, about 350 soldiers and civilians had been killed in the past year either in suicide bombings or battles with Boko Haram. But he said Cameroon’s military had gained ground in the past couple of months, largely thanks to training from French and American soldiers and their surveillance drones. Nigerian officials have also been more cooperative, he said, sharing much needed intelligence. “I am sure that our troops and the multinational forces will defeat Boko Haram very soon,” he said. Some Boko Haram experts said the recent cheerleading for the advances against Boko Haram could be wishful thinking by officials who were overly optimistic about Mr. Buhari’s new administration and the tough public stand he has taken against Boko Haram. Indeed, attacks in October in the northern Nigerian city of Maiduguri, the state capital of Borno — behind what would seem to be the front lines of the army’s engagement with Boko Haram — may indicate that the military’s grasp in the region is less firm than it insists. Still, international security experts and officials from Nigeria and elsewhere in the Lake Chad region cited promising developments in the march to eradicate Boko Haram. In Nigeria, high-ranking military officials are advancing through the forest with their troops, rather than staying behind the front lines, as was the case in the past. The federal government is not only sharing intelligence with local officials but is also cooperating with military advisers from the United States, a departure from former President Goodluck Jonathan’s administration. In recent months, the United States has sent troops to Cameroon to help in the fight against Boko Haram and has deployed surveillance drones and Special Operations forces to train African soldiers. Elissa Slotkin, acting assistant secretary for the United States Department of Defense, noted the difficulty of eliminating threats from diffuse groups that hide amid the local population, a tactic employed by Boko Haram. The group is believed to use poor economic conditions to its advantage, using not just recruits but paying locals to act as lookouts or play other supporting roles. “We in Washington are struggling with how to help as we see the terrorism threat increase here in Africa,” she told government leaders and security experts gathered last week in Dakar, Senegal. Babagana Monguno, Nigeria’s national security adviser, pointed out the need for more jobs for a growing youth population that might be tempted to join militants. In Borno, state officials were starting a training program for young people displaced by Boko Haram that would teach brickmaking and carpentry, according to a government announcement last week. The program is aimed at giving badly needed jobs to youth who might make prime recruiting targets for militants, and to help with the rebuilding process in areas that Boko Haram has destroyed. The government said many schools that had been closed because of the threat of Boko Haram, which has carried out numerous raids on classrooms to kill and kidnap students, are set to reopen in coming weeks.